Turn your talent into a high-value career. Umuzi's learnership programme supports talented young people to access high-value careers. Career focused: over 80% of our alumni are in top tech and creative careers. Demand-driven: we focus on the most in-demand high-value digital skills. Practical: we believe in on-the-job training. 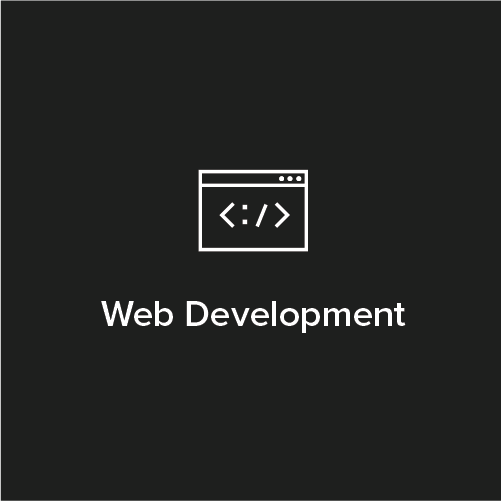 We learn technical, conceptual and professional skills by building great products, not by studying theory. Collaborative: everyone chooses a speciality and works in cross-functional product teams creating value together. Accredited: by MICT with a National Certificate qualification. Start your journey to a high-value career with Umuzi Online Learning. We assess your skills through real work. If we believe you’ve got what it takes, we’ll invite you to our bootcamp. We take applicants from all over South Africa. If you're successful in our online learning, we'll help you to get to our studios in Jo'burg to continue your journey. Not from Joburg? Umuzi's housing programme has you covered. We know there are talented young people all over South Africa, so if you're successful in our online learning, we'll help you to get to Jo'burg and even offer you housing, close to our studio. Learn more about our subsidised Housing Programme. You’ve shown potential in online learning, now we’d like to get to know you. 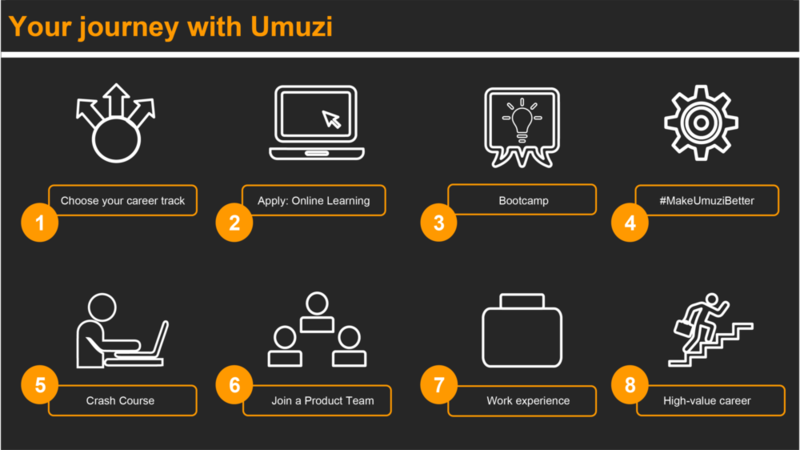 We invite you to join us in person for one week of intensive upskilling at Umuzi. We will put you through a series of challenges and assessments in your chosen career track. Are you open minded, driven and empathetic? … we want you! If you’re ready to go the distance, we will offer you a full-time learnership at Umuzi. As a new recruit at Umuzi, you will spend your first few weeks learning the art and science of Human-Centered Design. You will learn by empathising, defining, ideating, prototyping and testing real solutions to everyday problems faced by our community. 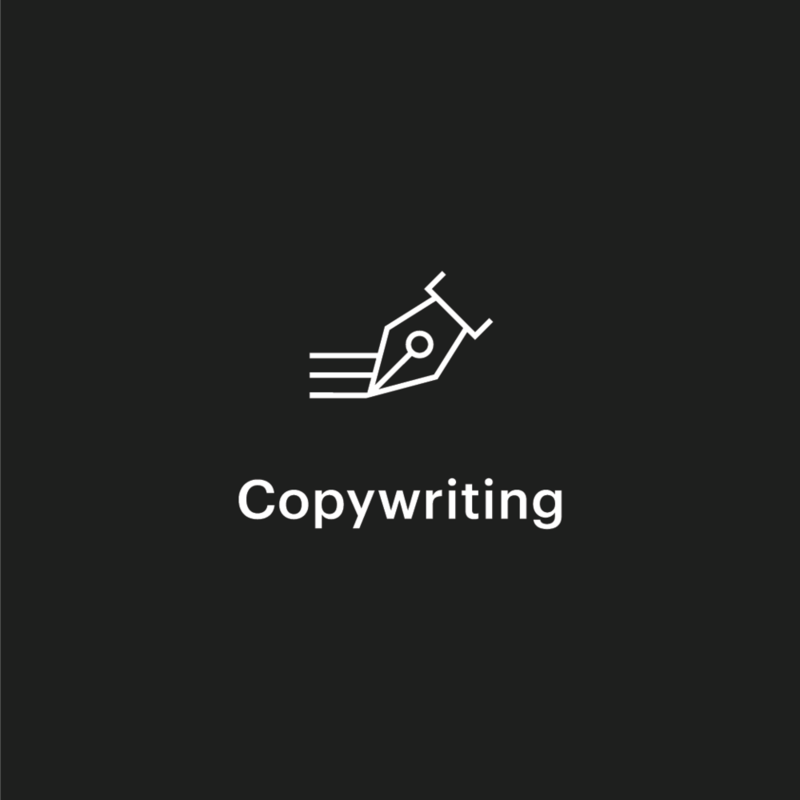 Once you’ve gotten a handle on the technical skills and our processes, it’s time to take on more responsibility and join an Umuzi Product Team. Every part of Umuzi is run by a Product Team. You will work with a team, diverse in skills and experience, lead by an Umuzi manager. We partner with industry leaders to offer Umuzi recruits work experience at top employers. This is your chance to put into practice everything you’ve learned at Umuzi, and nab a high-value job. 8. High-value careers: Take the Tech and Creative industries by storm! Our recruits’ success speaks for itself: over 80% of our recruits convert their work experience into high-value careers at leading employers. But that’s not it. We believe in the power of community. Umuzi Plug is our own recruitment agency which keeps in touch with our alumni, supporting them to manage their careers and reach their full potential.